Hoodies, or, hooded sweatshirts, have been making headlines lately because of their association with the Trayvon Martin case. For those living under a rock, Trayvon Martin was an African American high school student who was shot in his gated community by the neighborhood watch coordinator, George Zimmerman. The legal case has been featured significantly in the news for its allegations of racism and racial profiling by the shooter, George Zimmer, who was found not guilty by a Florida jury on July 13th, 2013. At the time of the tragic shooting, Travyon was wearing a hoodie and carrying only a bag of skittles. Shortly after the news broke, reporter, Geraldo Rivera created controversy for his comments on the teenager’s apparel stating, “I am urging the parents of black and Latino youngsters particularly not to let their children go out wearing hoodies. I think the hoodie is as much responsible for Trayvon Martin’s death as much as George Zimmerman was”. Shortly after the verdict, the “Million Hoodie March” was held in New York and across the country in memory of Trayvon Martin. So what is the history of the hoodie? How did it become such a controversial fashion item? With roots that can be traced back to the hooded capes of Medieval Europe, the hooded sweatshirt was first made in the 1930s by American clothing company, Champion. Intended for outdoor laborers and athletes in upstate New York, this new style of sweatshirt was created to help keep wearers warm in freezing temperatures. Champion worked with high schools to create hoodies in their school’s color for their sports teams and soon, the hoodie became fashionable for all highschoolers to wear. One use of the hoodine has remained constant: wearing your high school sweetheart’s sports hoodie or sweater shows everyone at school that you are “going steady”. The hoodie really took off in the 1970s when it became part of hip-hop culture and other youth subculture groups like grafitti artists, skateboarders and punk musicians. The hoodie then became symbolic of distate for authority and stuffy society as all of the above-mentioned groups, generally shared this viewpoint. The fashion world then re-appropriated the hoodie with designers like Tommy Hilfiger and Ralph Lauren sending their versions down the runway with fashion photographers snapping away. Today, the hoodie has now become identifiable with criminal activity with bank robbers favoring that garment for its cloaking abilities. 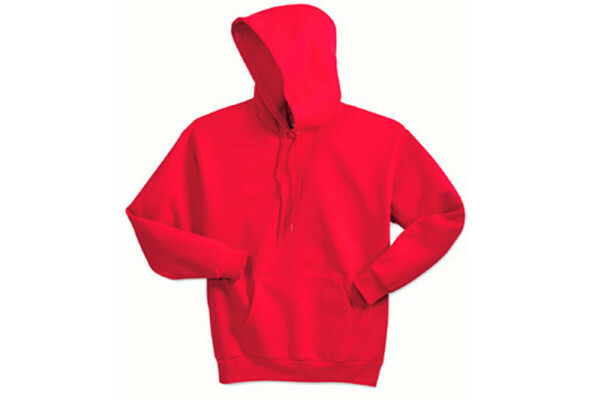 Regardless of that negative connection, big youth oriented retailers like American Apparel have continued to find a large demand for hoodies with its “Fleece Flex Zip Hoodie” becoming one of the brand’s top selling items. Facebook CEO, Mark Zuckerberg, has also made the hoodie his iconic garment of choice much to the chagrin of several Wall Street investors. So what do high school students, athletes, criminals and CEO’s all have in common? The hoodie! Perhaps the best way to move forward after the aftermath of the Travyon Martin case is to reiterate the importance to not judge a book by its cover. Wearing a hoodie doesn’t make you a criminal anymore than it makes you a CEO. In conclusion, the words of an Orlando Bishop sum it up best, “I want to live in a world where George Zimmerman offered Trayvon Martin a ride home to get him out of the rain that night”.